Listing for a friend. Available is an S2 class Fairmont. It is operational. Was a former Seaboard Coastline car. Located in Western Pa. He knows all the particulars. If interested, drop me a note and I will give you his contact info. Thanks. 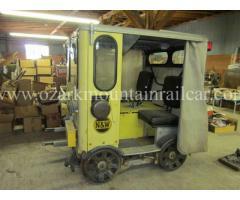 RFQ for MOW cars. 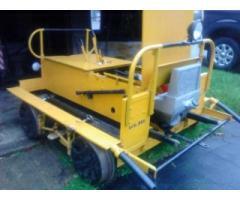 1-2 Ballast Cars 1-2 Flat cars 60'- 89' Wood and or steel decks 1-2 Gons any length. All cars will need to be in suitable mechanical condition to make freight interchange. Destination is southwest Ohio. Built by Fairmont for the Norfolk & Western Railway, restored and was NARCOA certified (has not run in several years). Been stored inside, in great operating condition. For more info and photos please visit our site.